Cloaked in mystery and protected by the piercing emerald eyes of the Wizard within, this sword is nothing short of fantasy realized. Massive and imposing, the sword's strikingly large stature ensures its place as the center of attention in your collection. From the blade to the highly detailed cast metal guard and on to the textured black handle, every section has larger depth and size than expected. Includes wooden wall display plaque and measuring 46 in. overall. 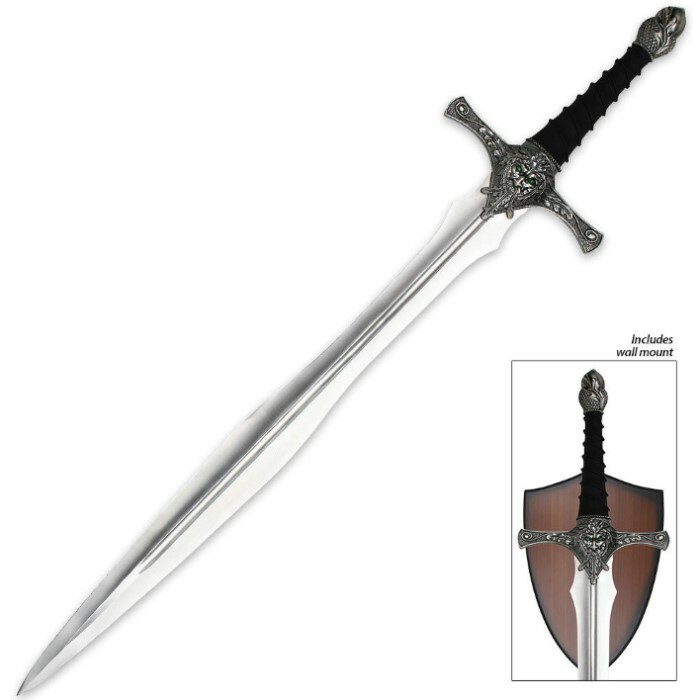 Awesome sword for any collection! It is big and unique. Very nice! One of my first buys here and wont be my last. Super great display sword, defiantly bigger then i thought. The blade is a bit thinner then i would have thought and a tiny bit shaky but would refer this to any one for display only!